A 3D printed replica kidney, from UK-based 3D printed medical model company axial3D, has facilitated a crucial transplant operation and simultaneously improved the life of the organ donor. Surgeons at Belfast City Hospital in Northern Ireland planned the complete excision of a Bosniak 2F renal cyst using a kidney replica. The operation itself was the first such procedure performed without the need for revision surgery in Ireland. The now-healthy kidney of donor William Fenton was then transplanted to his daughter Pauline, who had previously been living with end-stage kidney disease and was wholly reliant on dialysis. William Fenton was a suitable living donor for his daughter but was blood group incompatible, meaning that his kidney would require special preparation prior to transplantation. To make matters even more complex, the renal cyst found on the kidney had a chance of becoming cancerous. Given the complexity of transplant preparation, the surgeons used a 3D printed replica model of the father’s donor kidney from Belfast-based 3D printing company axial3D. Detailed axial3D kidney mode, with cyst in black. Image via axial3D. 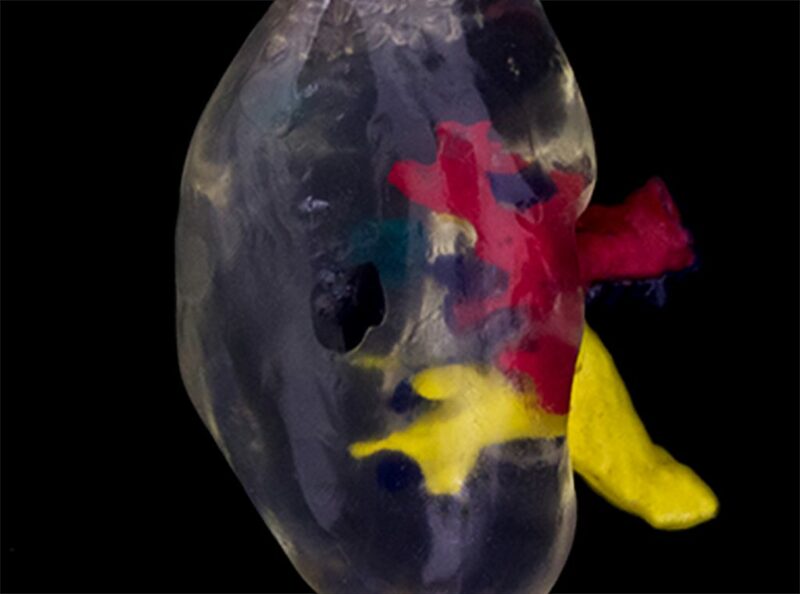 axial3D used imaging from CT scans to construct an exact 1:1 model of William Fenton’s kidney. The model was then 3D printed in the axial3D laboratory using binder jetting technology. The surgeons at Belfast City Hospital planned and rehearsed the surgery on the model, which featured the precise size and position of the cyst, taking all complications into account. Consultant surgeon Mr. Tim Brown, who led the procedure. Photo via Axial3D. With the success of this surgery and a benefit for both the organ donor and the recipient, it is estimated that this procedure was 83% cheaper than keeping Pauline on permanent dialysis. axial3D itself received over $600,000 of seed funding in 2017, much of it from venture capital fund techstartNI. axial3D has since increased its product portfolio and made its models available on Britain’s National Health Service (NHS). 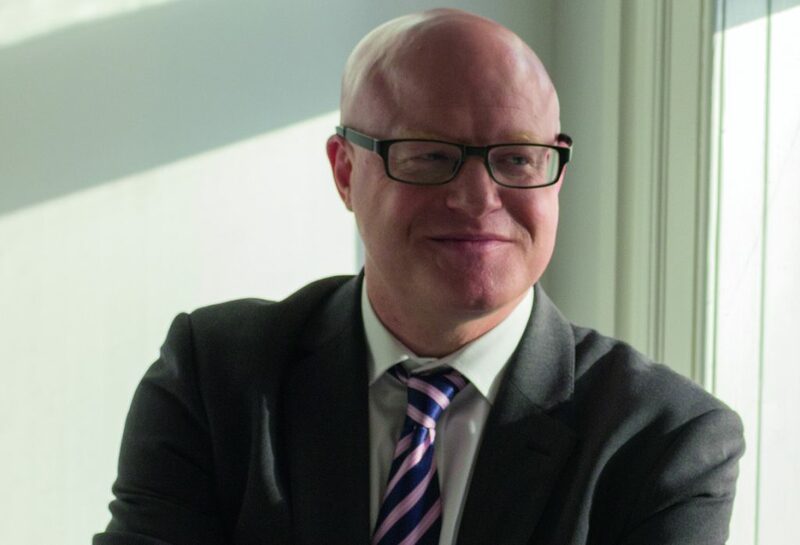 “We believe in today’s economy, where cost saving and efficiency is at the forefront of the NHS agenda, 3D printing offers an exciting opportunity for hospitals to reduce costs, elevate care, and most importantly, improve patient outcomes,” said axial3D founder Daniel Crawford. Elsewhere on the NHS, 3D printing has been used in innovative jaw reconstruction surgery at Swansea’s Morriston Hospital. There, 3D printed custom implants and cutting guides have reduced operation times by two hours. For more stories on 3D printing and medical applications, subscribe to our free 3D Printing Industry newsletter, follow us on Twitter, and like us on Facebook. Featured image shows Belfast City Hospital tower. Photo via APS.